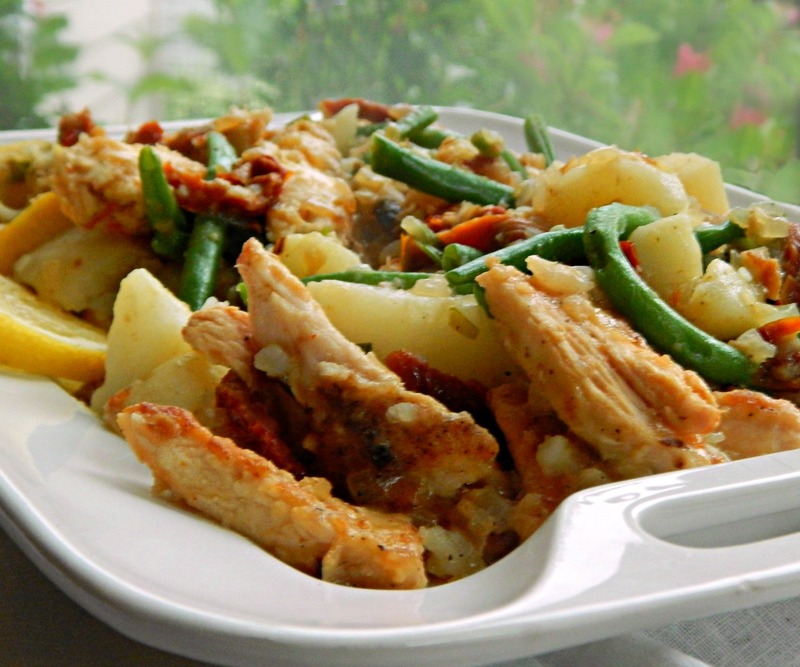 A gorgeous dish, it really should have a fancy name…a little wine, lemon and a handful of sun-dried tomatoes spark up gorgeous green beans, chicken and a few potatoes. 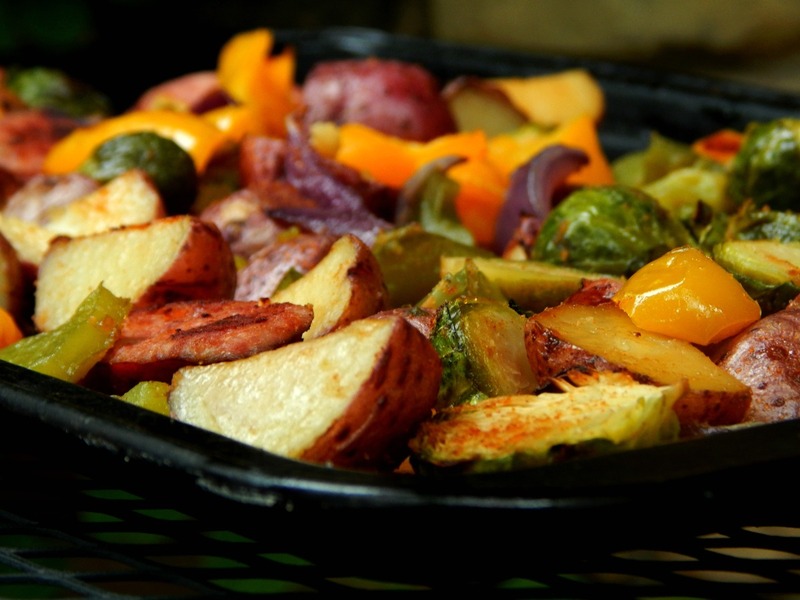 Fingerling potatoes or Yukons are perfect but a red potato makes a great budget stand in. And everything is napped with that bright sauce. 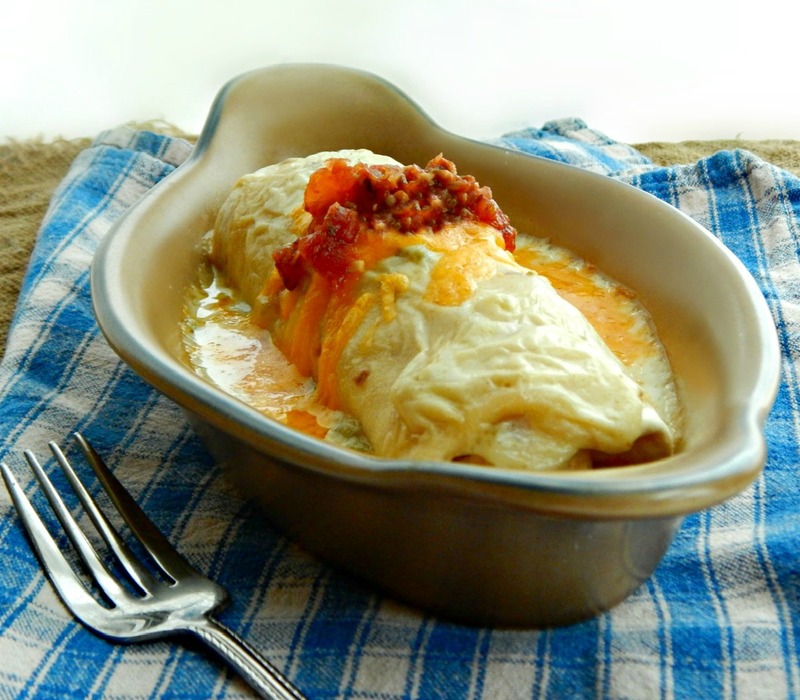 Shhh…don’t tell anyone how simple this dish is and they’ll think you’re a genius. 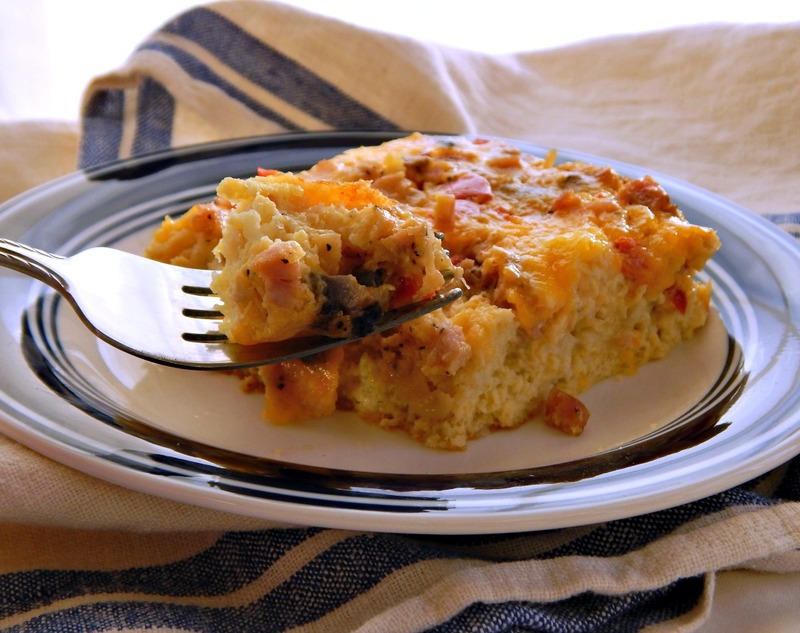 This super simple, stir together, pat in the pan tart shell sounded just too, too simple to be so good. 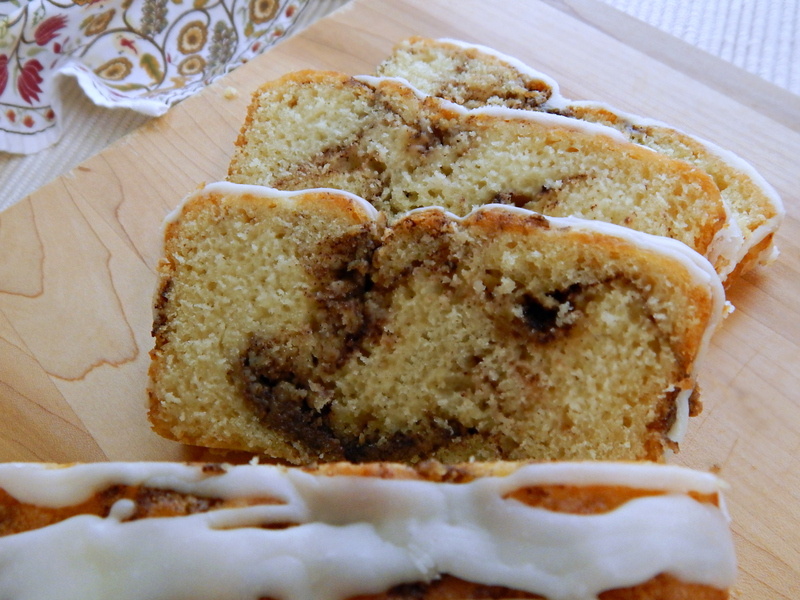 But it is, and best of all it tastes like a big ol’ sugar cookie! 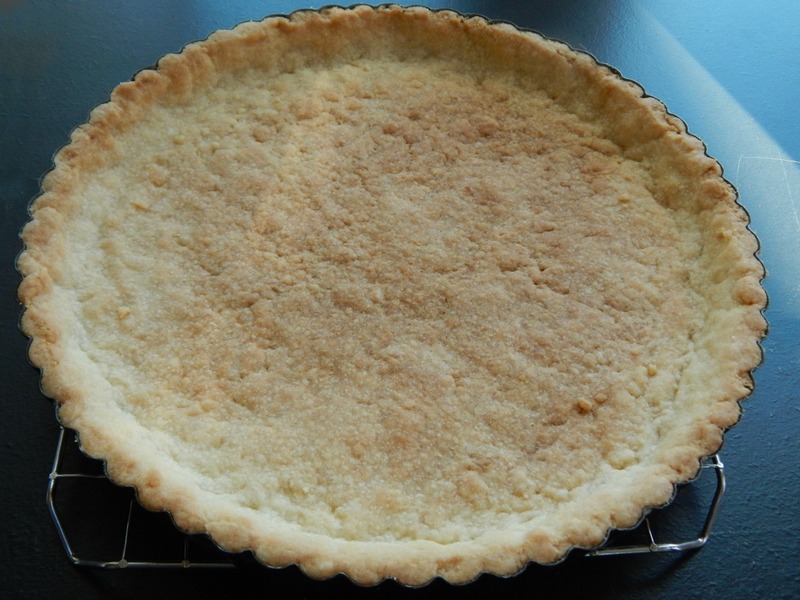 Sabayon Lemon Tart – this has my easy pat in the pan tart shell. I feel like I’ve made a new discovery, Brussels Sprouts braised in cream. I know. A little crazy, huh? A little over the top decadent. Maybe you’ve already made them? 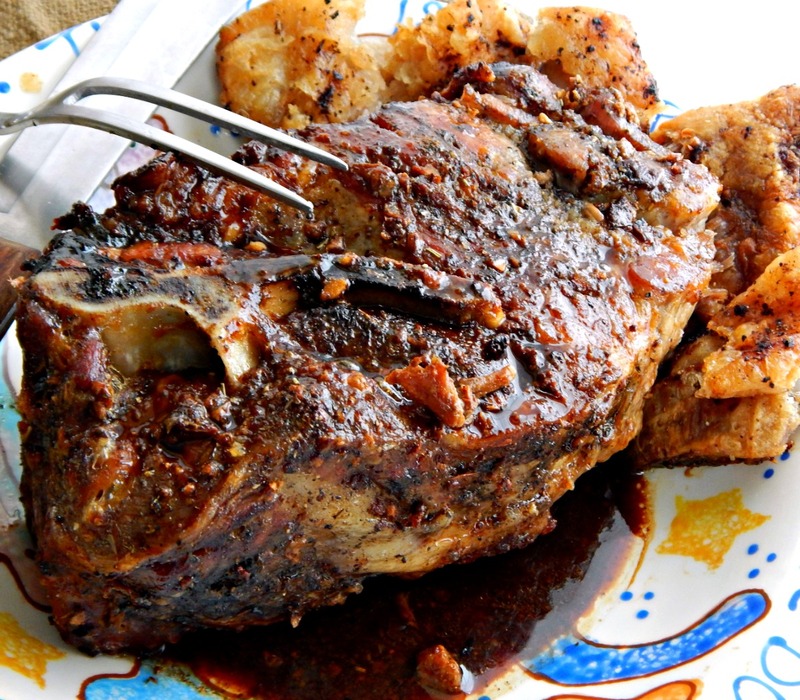 If you’ve never had the classic Puerto Rican pork roast, Pernil, you’ve been missing out. It’s beyond fantastic – slowly roasted, garlicky, herby deliciousness, done when it’s just about falling off the bone tender. You’re going to think I’ve gone Cauliflower Cray Cray! 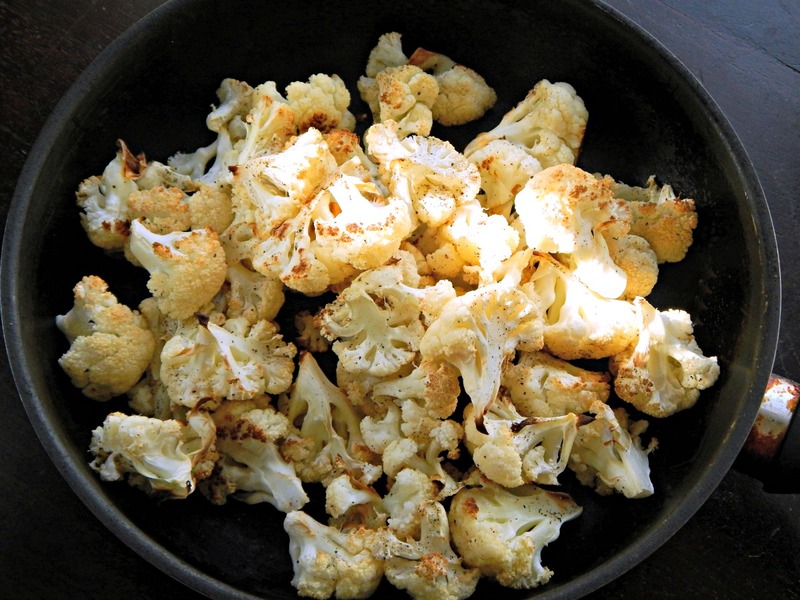 If you follow me, you’ll remember I made “Essential Oven Roasted Cauliflower” last week. And then I made Cauliflower with Dates & Pine Nuts. 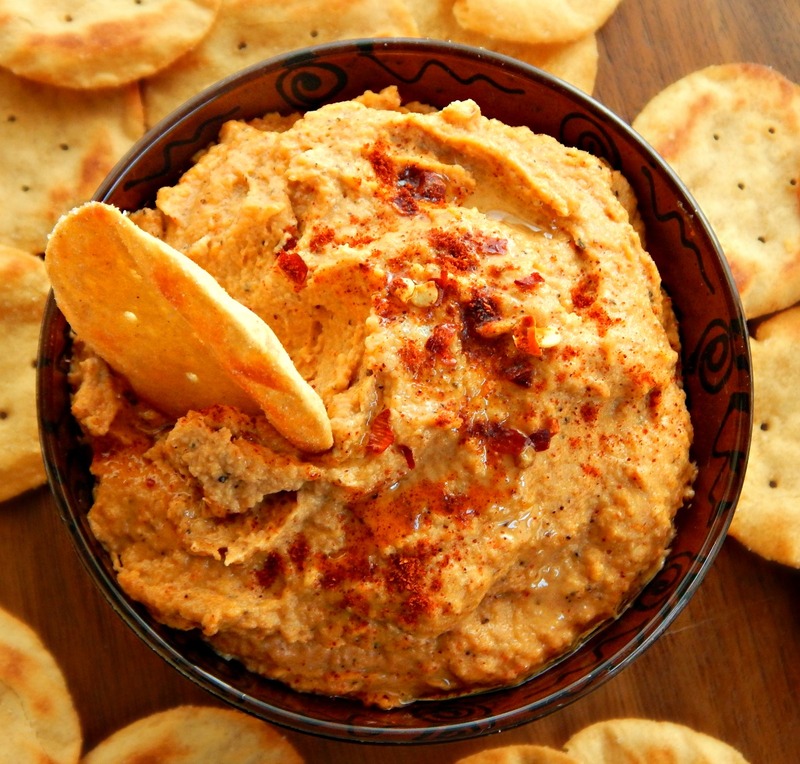 Now, here’s Smoky Cauliflower Hummus. So January has rolled around and so has my annual attempt to eat healthy. Are you with me? At least for a while, anyway? 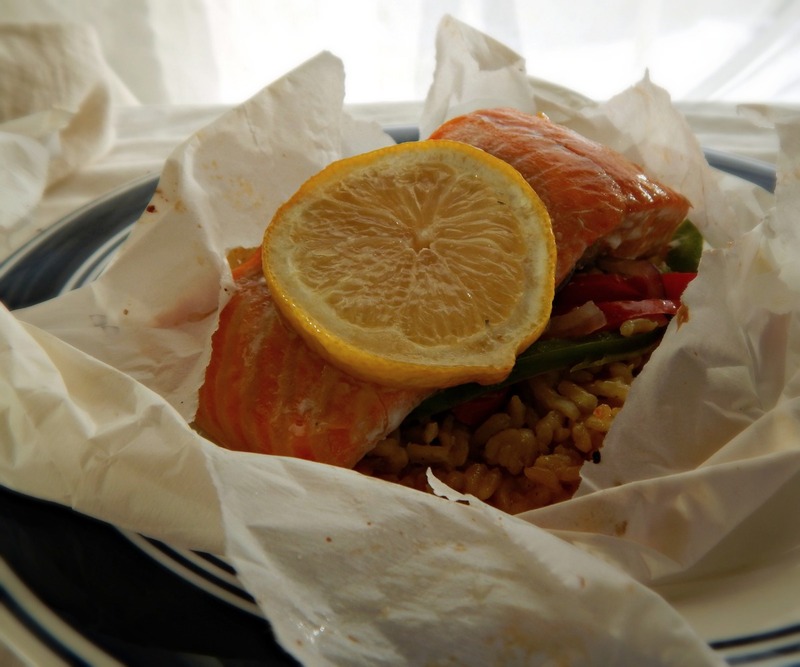 Besides, this Salmon en Papillote is so lovely, you won’t even care whether its healthy or not. 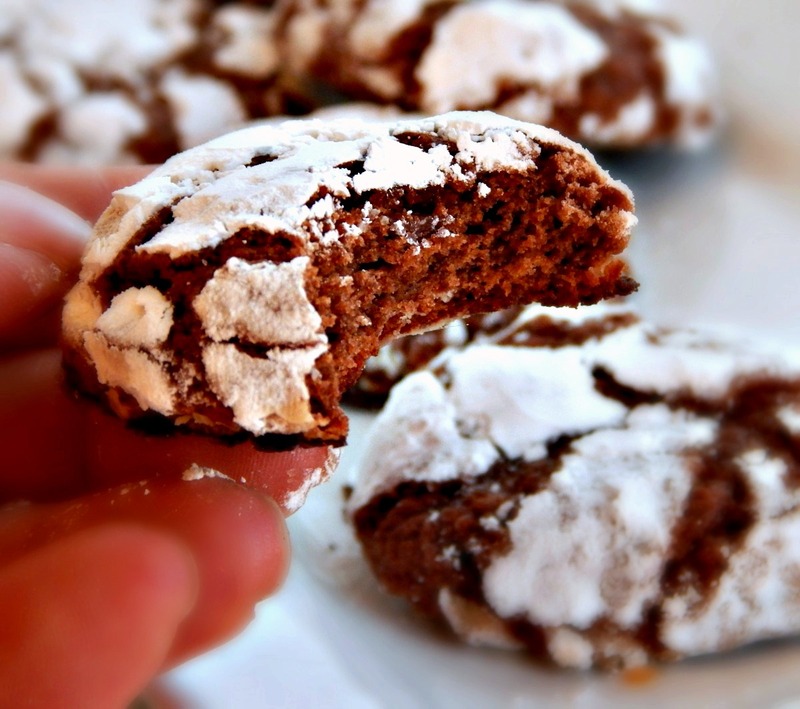 When I make Christmas cookies, Cocoa Snowflakes are always on the list. Why? Well, there’s chocolate. And there’s that almost chewy texture that works so nicely with the crispier sides and bottom of the cookie. I was very excited to come across this recipe for Fruit Cake In my Grandmother’s recipe box. It came down from her Mother, Lizzie Maloney. 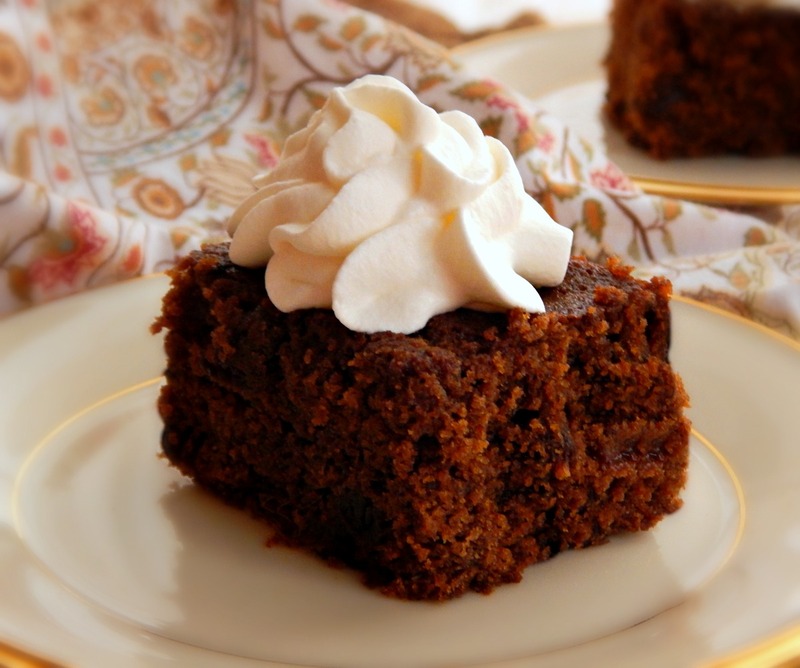 It’s a rich, moist and lovely Gingerbread type cake and the spicing is beautiful. I gotta tell ya, I never thought about eating Bacon Wrapped Dates. Recipes, I’ve seen – but back me up here, folks, doesn’t it sound kind of weird? 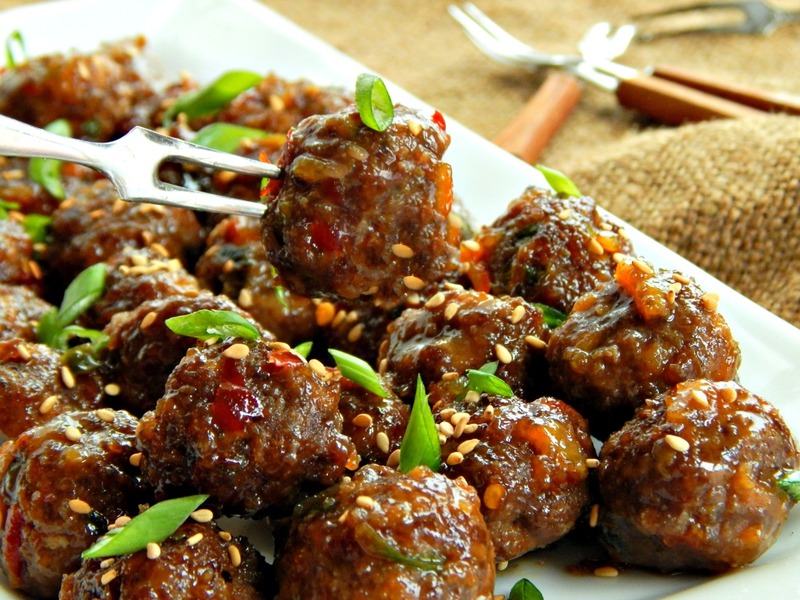 Well, weird they are, but weirdly delish! Another pie? Why not!? Because I already made my Fave Pumpkin Pie last week, and then a Caramel Creme Pumpkin Pie extravaganza. So for actual Thanksgiving? A Dulce de Leche Pumpkin Pie. The bottom layer is a lush cream cheese & the top, a more sedate pumpkin pie layer. The Dulce de Leche Whipped Cream? It stole the show. 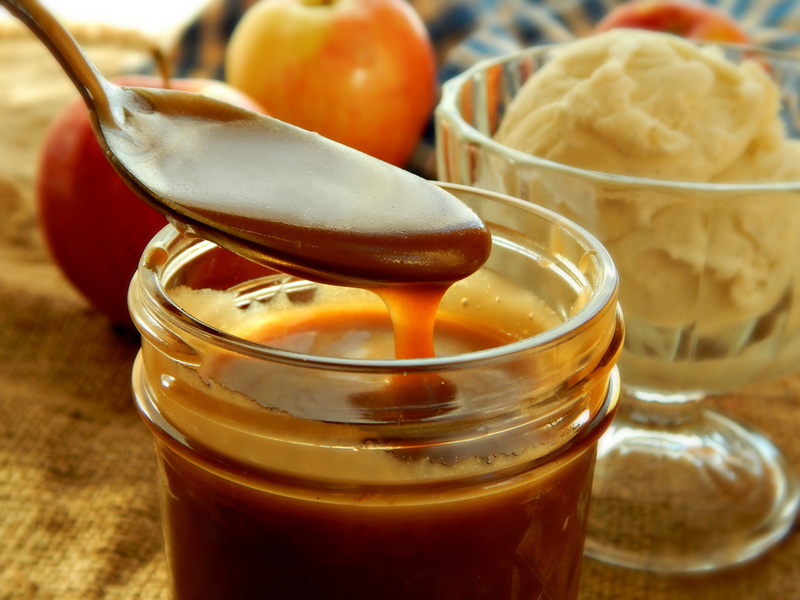 I can’t wrap my head around it – some people call it Caramel Sauce, others Butterscotch. But they’re all talking about a rich, delicious, luscious sauce. Fall has caught up with us, finally, with a fury. We’ve finally had our first real frost. And with it, a flurry of activity. Some herbs were potted and brought in and as many green tomatoes as we deemed prudent picked and placed in bags where hopefully they’ll ripen. 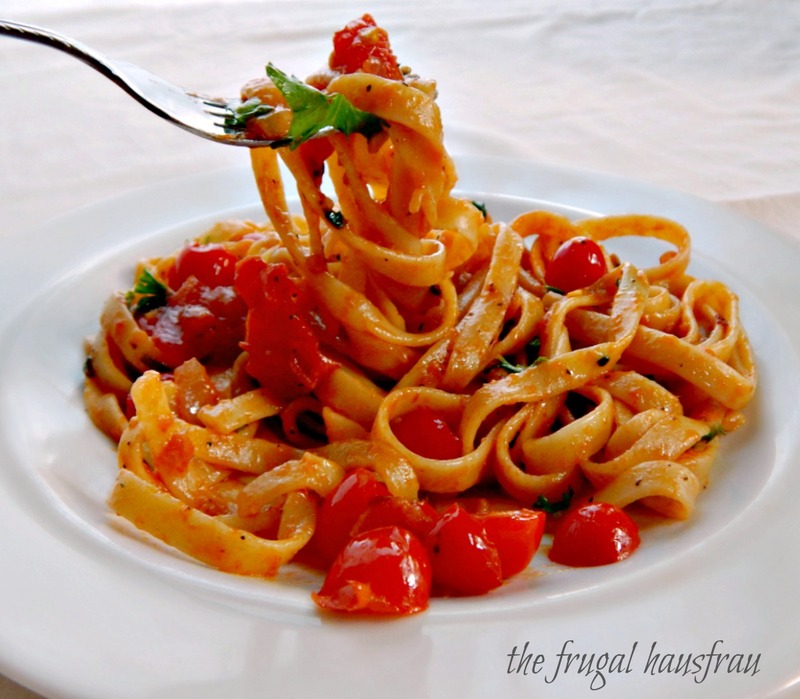 Would a tomato by any other name still taste as wonderful? 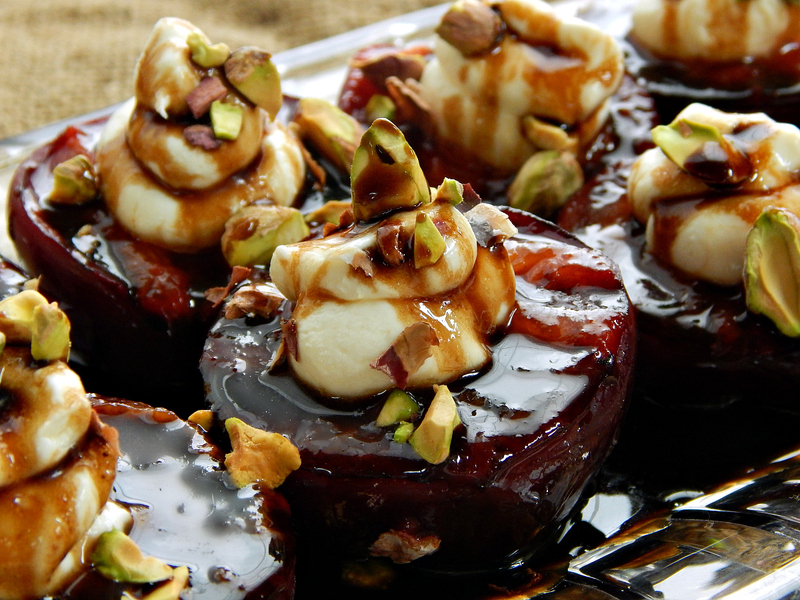 How about a “pomme d’amour”? I hafta admit, the French name seems to inspire a bit more lustfulness than our simple “tomato” does. 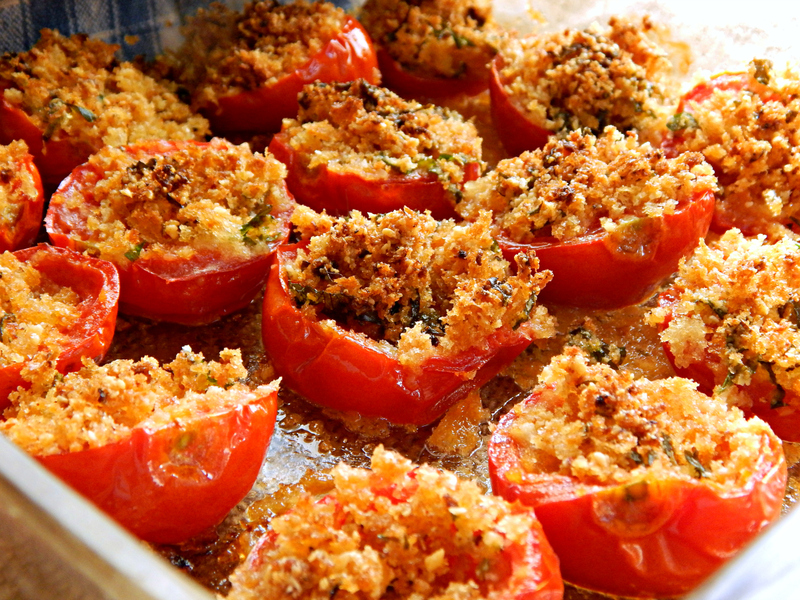 And Tomatoes Provencal seems just a bit more romantic than Baked Tomato with a Garlicky Breadcrumb Crust! Pina Coladas. They’re so good. Sweet, but good. What if you could make a fruit salad that had all the flavor (but none of the booze) of a Pina Colada? I’d drink to that. 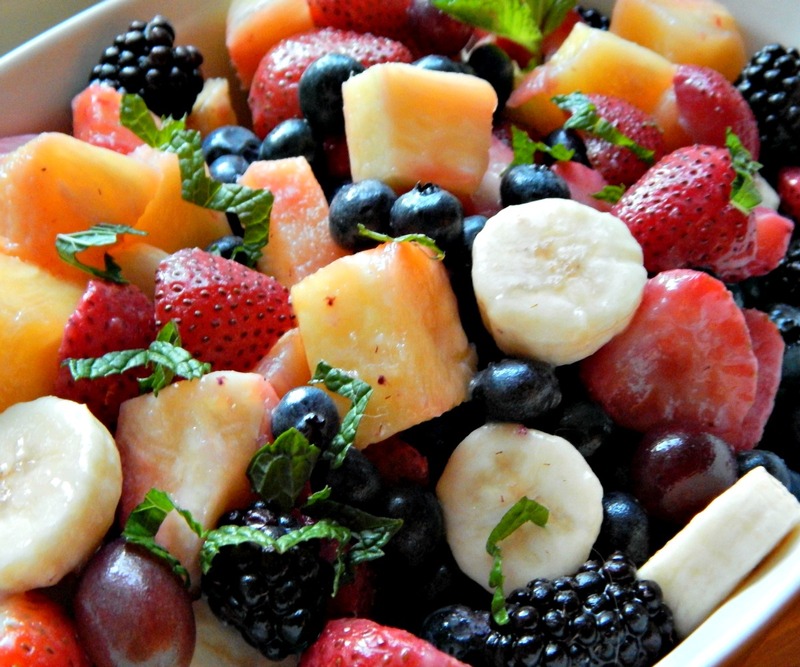 And the fruit in this salad, especially the bananas and pineapple, play so nicely with the lovely coconut flavors of the Pina Colada mix. Whoaa – mix? Yeah, mix. 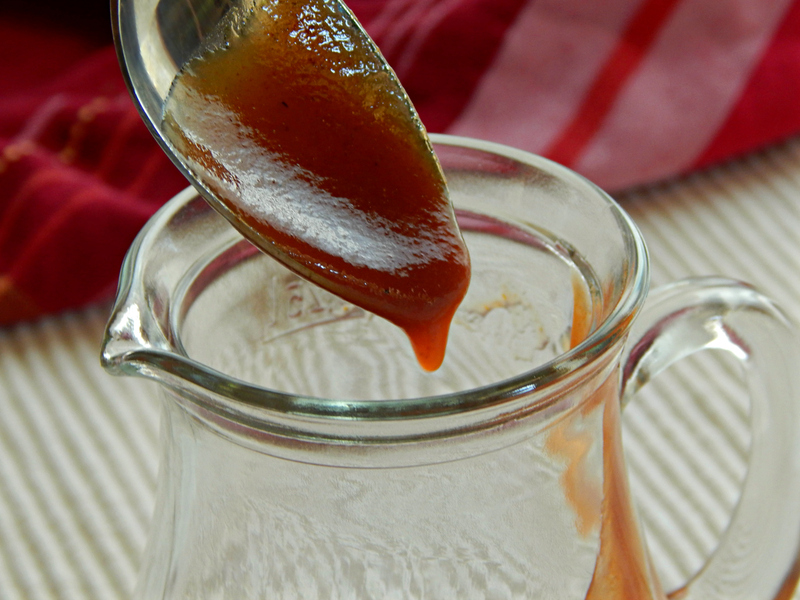 I love slightly sweet, slightly tangy Tonkatsu Sauce, but it can be a little hard to find, depending on where you live. Of course, there’s always Amazon, lol, but boy do I have to try to stay away from there if you know what I mean. My cupboards would be bursting, my bank account empty! I love a good Roasted Chicken. Really love. Which is a bit strange because I’m not all that fond of dark meat. 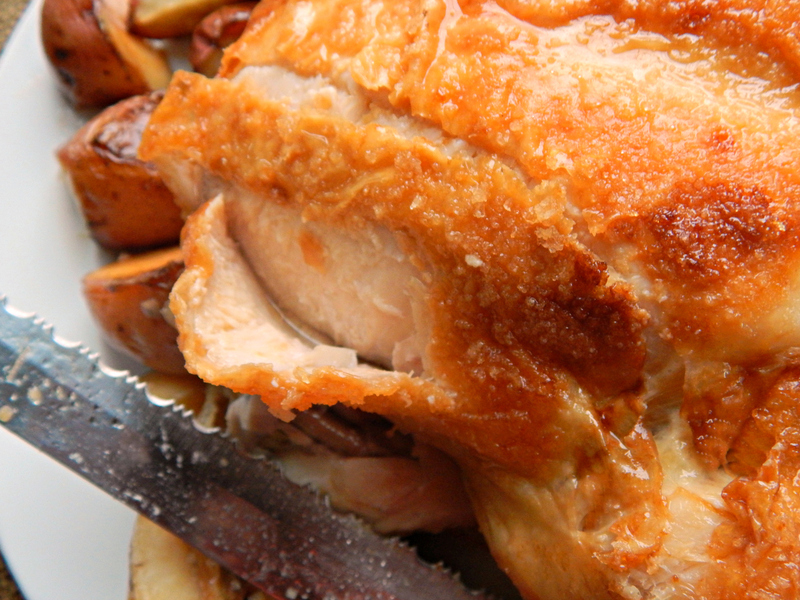 Yep, it’s all about the breast, and when you have a chicken that’s cooked through and still has gorgeous, juicy breast meat, you’ve got a winner.